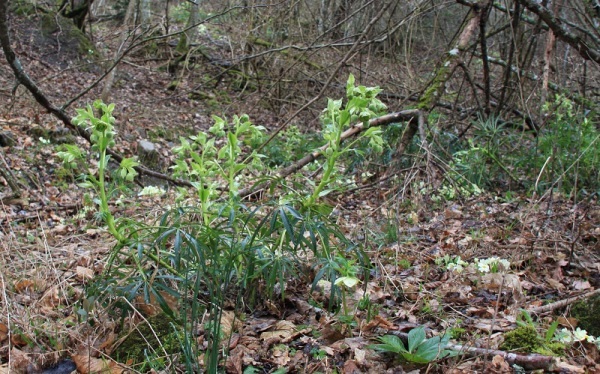 My main purpose for the 2008 Hellebore Tour was to see H.liguricus, which has a scent like citrus fruits, in the wild. The scent has been very attractive to me since I heard of it from our hellebore guide, Will McLewin on the 2006 tour and I saw it in the hellebore exhibition at Ikebukuro Sunshine City Convention Hall in Ikebukuro, Tokyo in 2007. As I mentioned in my previous column, the name H.liguricus was first revealed to the public and elevated to species level in the article, “Helleborus Bocconei and the Hellebores of Italy” published in“The Plantsman”, issued by The Royal Horticultural Society(RHS). It had been classified as H.multifidus before. 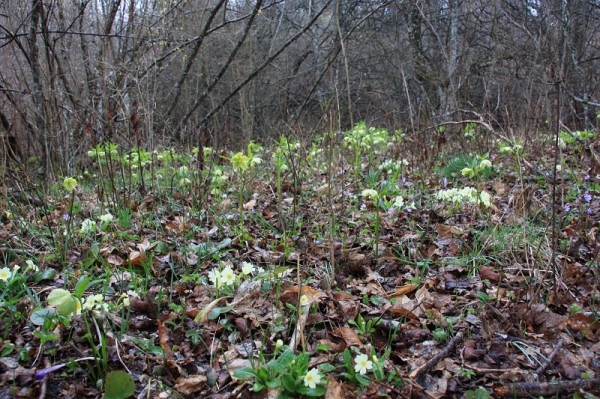 On this tour, I first saw many H.liguricus flowering here and there in a limited area at Berceto in Emilia-Romagna on March 23, 2008, where there were a lot of Primula vulgaris. We could see some H.foetidus flowering, as well, near the site of the H.liguricus. But, judging from the area of distribution, I thought that there was clearly a border between the H.foetidus and the H.liguricus so that they could keep their own territories. Unfortunately, it was raining a little when we visited there, so we could not enjoy the scent. But, the site we visited seemed to be a paradise to hellebore enthusiasts like us. The best season to see it, according to an article in “The Plantsman”, is said to be between November and late February, so I was afraid that the flowering time would have ended. But, luckily we had the opportunity to see it partly because it was located at the high altitude of about 800 meters. 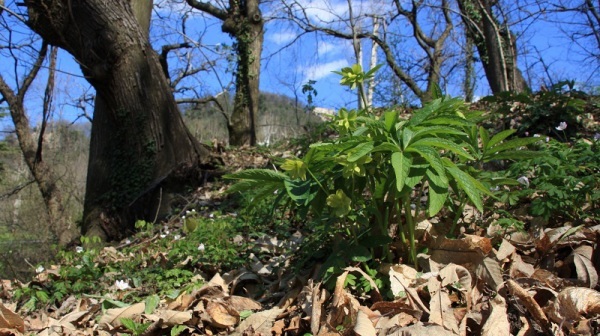 In the afternoon of March 25, we were allowed to see the same plant at Monghidoro in a private land of Bologna. 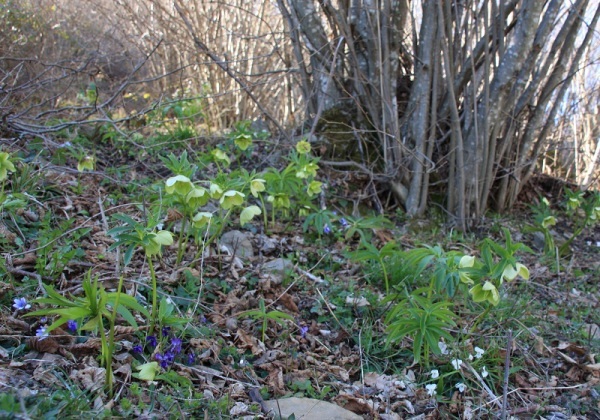 Here we saw a lot of H.liguricus flowering together with white and blue violets. 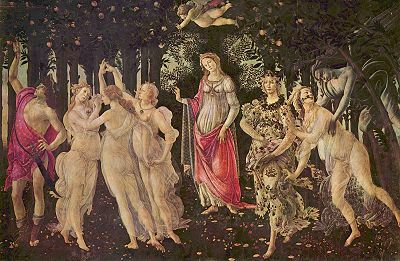 In the morning of the same day, we had visited the Uffizi Museum in Florence where I really wanted to confirm what kind of species the flower at Venus’ feet in the painting “Primavera” by Botticelli, was. It was described as “a green flower at her feet”. I looked for a book about Primavera in English with our Japanese local guide at the shop in the museum and finally found it. 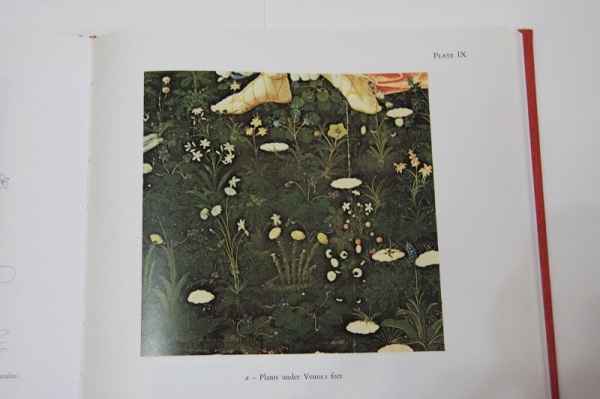 It was described as H.viridus, which was the 19th flower out of 190 flowering plants in the painting. 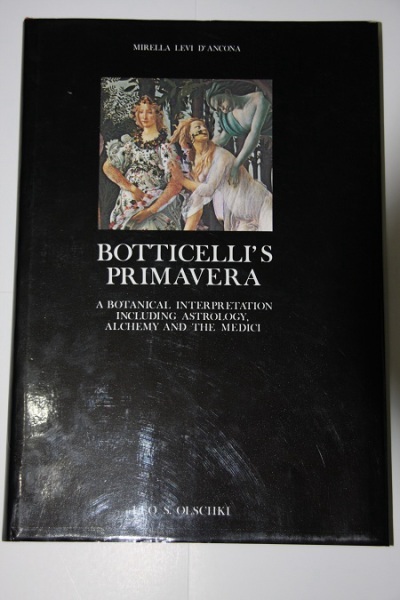 I reconfirmed what kind of species was in “Primavera” while having breakfast with Will McLewin on March 26th. 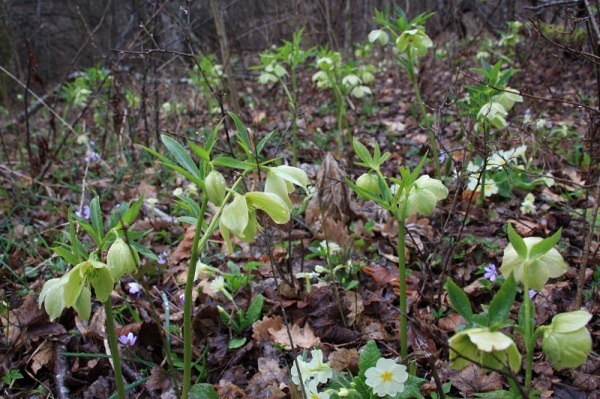 He said that there were only two hellebores species, H.niger and H.viridus, in a book about hellebore species written by Carl von Linne (1707 – 1778), a famous Swedish botanist. In addition to that, he said we could see H.viridus in the wild in the suburbs of Florence. These pursuaded me that it was definitely H.viridis. He also said that there was some possibility that the flower in the Primavera is a natural hybrid of different hellebore species. Then I asked,” Is there a possibility the flower in the painting is H.liguricus?” and he replied that there could be. Therefore, I had even more interest in the species than what I had before. Please take a look at Venus'feet. You can see the green flower ,H.viridus. Surprisingly, we were destined to see H.viridus in the wild one day after we saw it in the painting at the museum. Unfortunately, it was too late to see the flowering H.viridus at Teolo, which is located at the altitude of 200 meters. But, we enjoyed seeing the healthy and vigorous leaves with the flowers which had gone to seed. Anyway, I was fully satisfied with the tour because I could see a lot of H.liguricus flowering in the wild and confirm the name of the species in the painting, Primavera.